Images, such as your company logo, can be inserted into HTML emails. However only flat file images (e.g. gif, bmp, jpeg, png) can be inserted into the body of an email. Flash movies and files cannot be used in the body of an email for the simple reason that the mail recipients' email client (Outlook, Lotus Notes etc.) does not allow such files and will not render them in your recipients' inboxes. Emails with such files included in their body will be blocked. 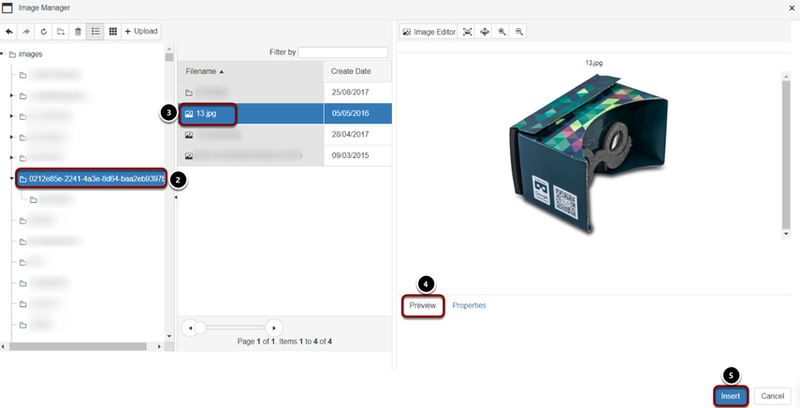 The Image Manager can be used to upload or insert images into the editor. Images cannot be inserted straight into an email from your local PC - they must be uploaded into CommuniGator first (you can do this from within the email editor though). You can preview the image in the Preview tab on the side. Select insert to add the image into your email. Select the image you wish to upload. Select 'Open' or double click the image. Click 'Upload' to put the image into the Image Manager. Now you can select the image from the Image Manager and choose "Select" to add it to your email design.